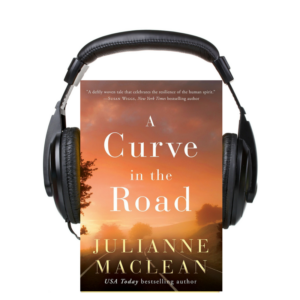 Julianne MacLean A CURVE IN THE ROAD Available in Audio! A CURVE IN THE ROAD Available in Audio! If you love audiobooks, you’ll be happy to hear that A CURVE IN THE ROAD is available for pre-order at Audible and will release on August 14, the same day as the print and ebook editions. It’s narrated by the incredibly talented Coleen Marlo, and you can listen to a sample on the Audible website. If you’re a member of Audible’s Romance Package, you can listen to it for free!